Homemade cards are more personal than that of the shop brought kind! That’s why my little ones have been busy making Father’s Day cards ready for daddy’s special day. For the younger ones a template is a great idea and Baker Ross have provided us with these fantastic template cards that just require kids to draw in the missing parts and then fill them with colour. Kids love drawing faces (well my toddler does) its one of the first things most learn to draw. 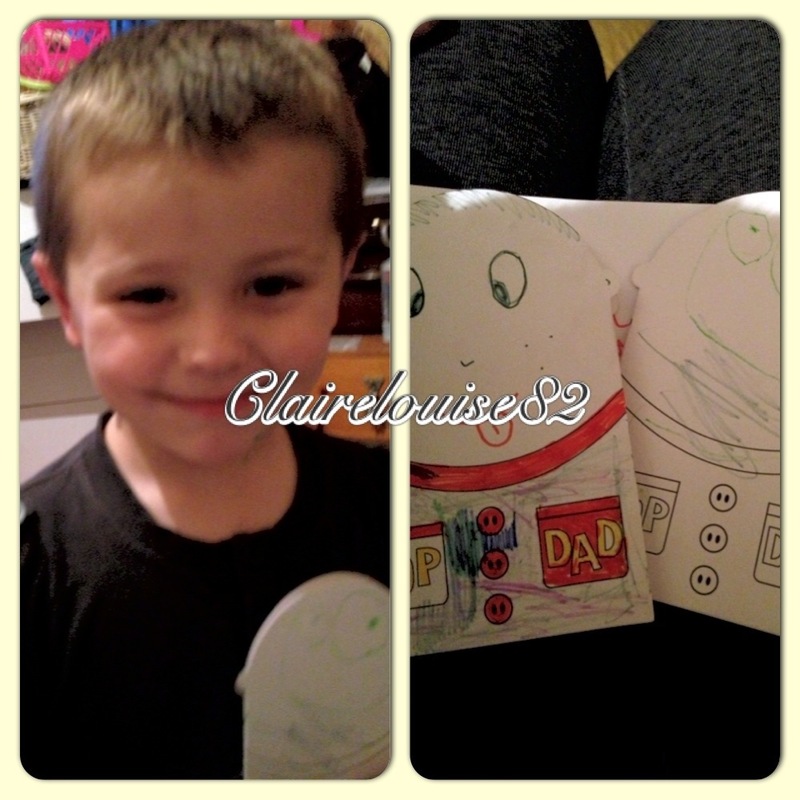 On these cards your child can draw in any type of facial expression they desire! They can even match the features (hair, eye colour etc) to that of their own daddy. Whether it be grumpy or smiley, the end results are just brilliant. You can even turn the card over to design the back of dads head… How cool is that! Harley age 3 had so much fun working on these that we went through the entire pack in just one day. 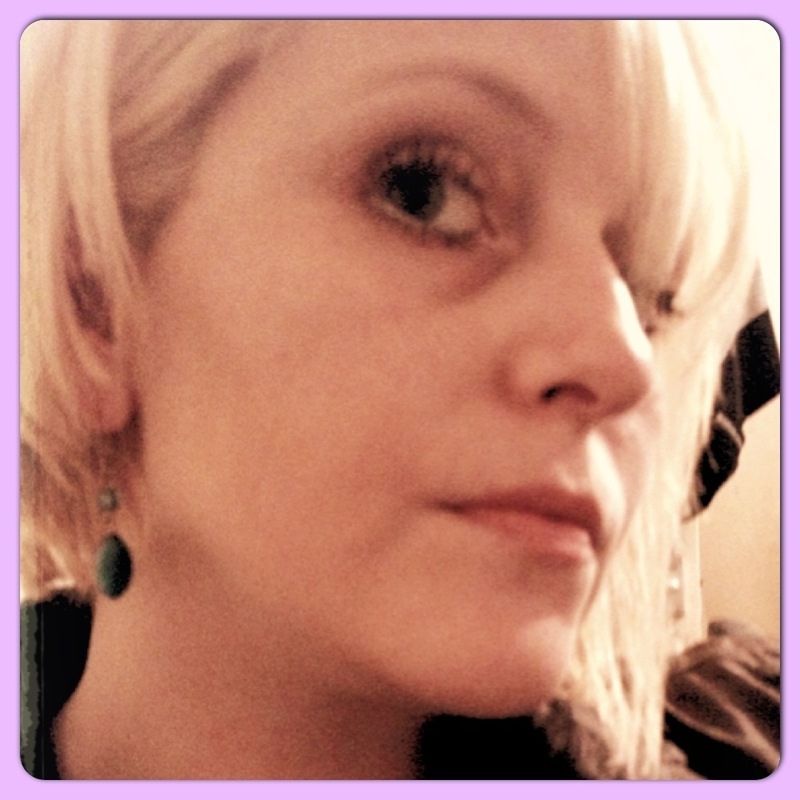 Ok, Alice also had a go and if truth be told… So did I! Whats more you can even add other art materials to give your cards a certain edge. Kids can use goggly eyes or how about adding glitter to dads tie, or string for his hair? The possibilities are endless! 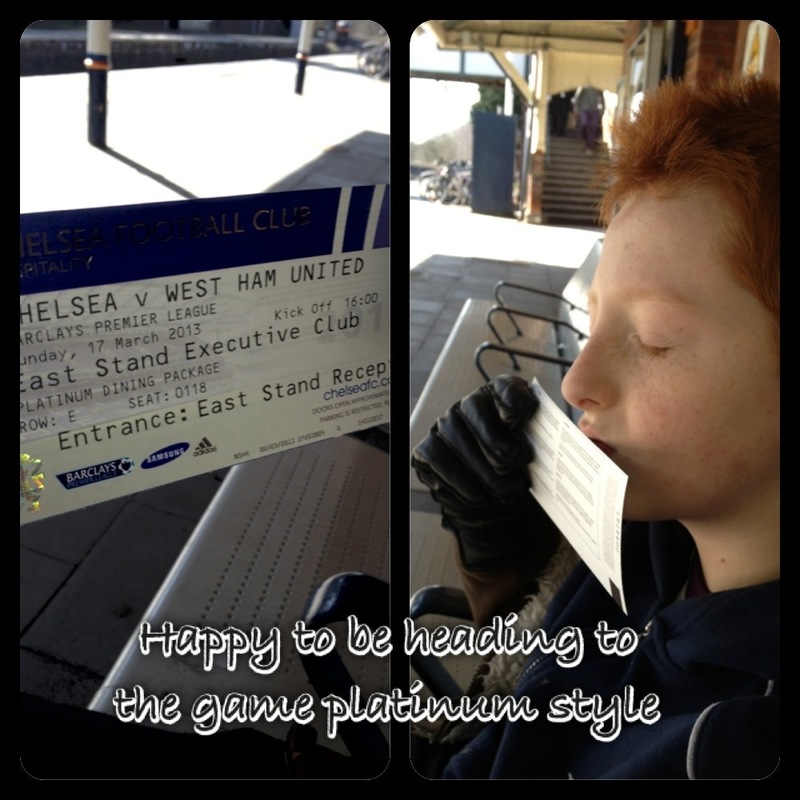 Taking my little man to see the Chelsea Vs West Ham match on Sunday 17th March is probably the highlight of his year. 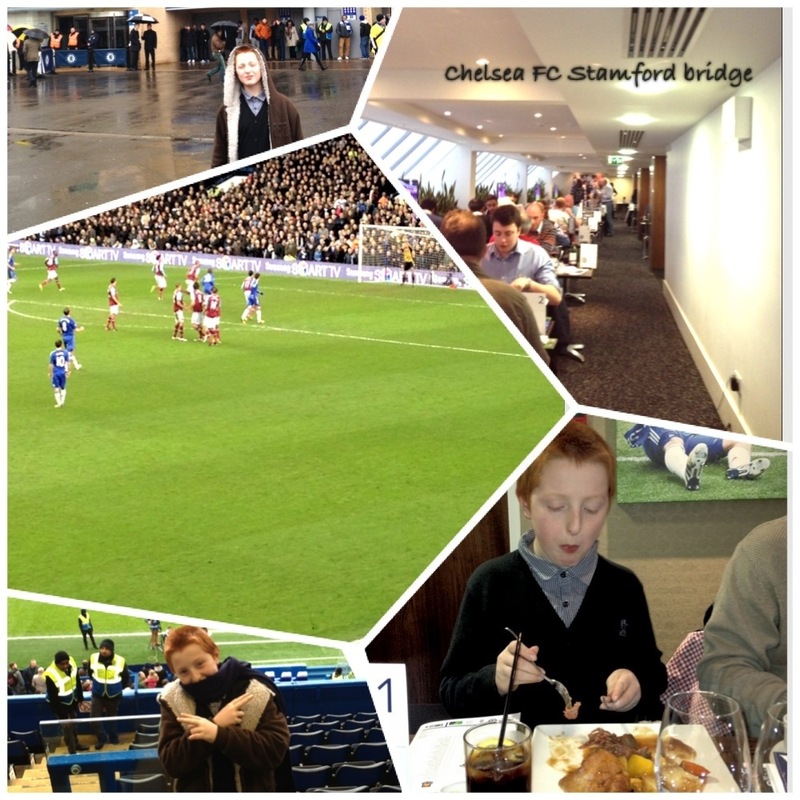 Getting to experience his first ever Chelsea FC match at Stamford Bridge on a Platinum VIP hospitality package has no doubt made that experience one on a whole other level. 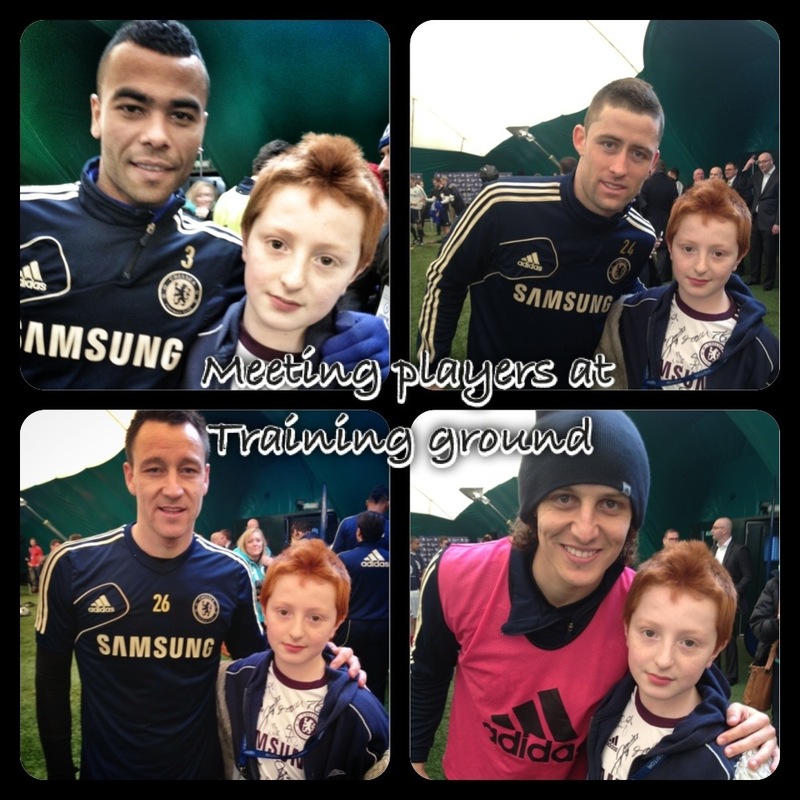 Having met all the players on the Tuesday before the match, during that of a training session at Cobham, Little man was excited to see how training and match preparation translated into match day performance. Admittedly, I was looking forward to witnessing this too, while also discovering how Chelsea catered for its fans on a platinum hospitality package. Well, we were not to be disappointed. We arrived at Stamford bridge to witness reasonably heavy queues at most of the gates. Luckily our tickets meant that we got to enter the stadium via the ‘East Stand Reception’ for the Executive Club, meaning no queuing and no impatient 12 year old boy moaning in my earhole (impatience and Asperger’s syndrome normally come as a package but thankfully not today). Our pre match hospitality began at 14.20 PM which was roughly the time we arrived. We were greeted at the doors to the executive dinning area and shown to our fully dressed table by our personal waiter for the afternoon. At this point we were also given the official team sheet listing the players for that days game and that of a complementary match programme. Oh and how could I forget! At this point I was given a lovely glass of bubbly (much appreciated following a ride on the busy & very sweaty London Underground). Our table was finely dressed for dinning with official boxed Chelsea gifts placed on each persons table setting. A lovely touch and one we didn’t expect. The service provided was of an excellent standard and I can honestly say that there wasn’t a single point when I needed to call for a waiter! My glass never ran empty and Little man was in his element with free choice of the bar (with Alcohol of limits of course). There was plenty of time to let our stomachs settle with the match kicking off at 16.00 PM. During this time we got to meet an old Chelsea legend, Ex Goal keeper ‘Peter Bontti’ who was kind enough to sign our match day programmes. The platinum experience is one that keeps on giving. What with seats directly outside the dinning area, I almost felt like I was popping out onto the balcony of a posh hotel. Don’t think that the hospitality package removes you from the games atmosphere. 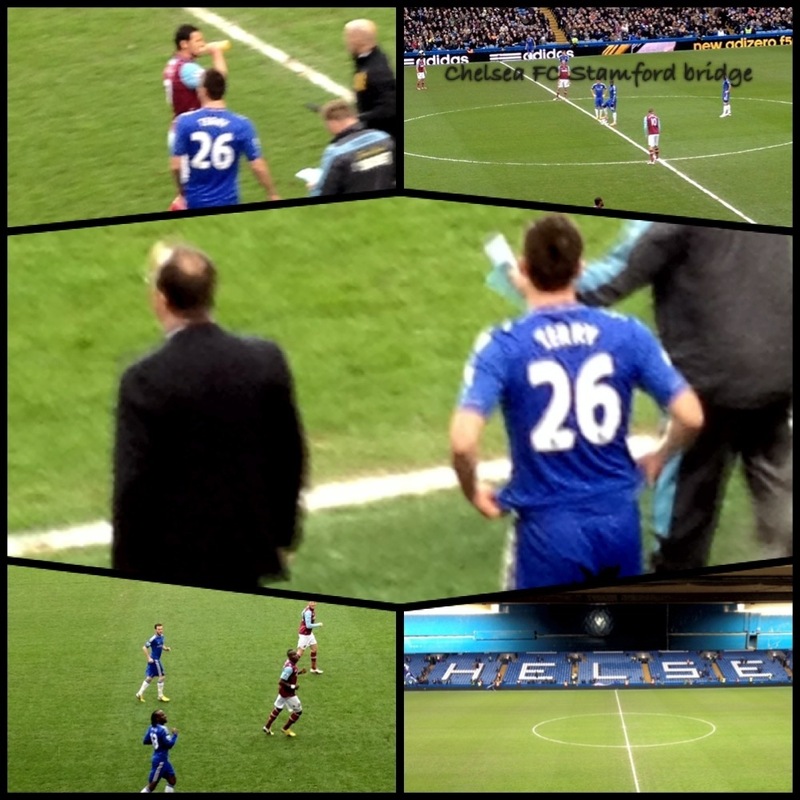 We had some of the best seats stamford bridge has to offer. Directly in the middle of the Pitch’s half way mark, right above the players dug out. With seats like this we didn’t miss a thing! Which was great considering ‘Frank Lampard’ scored Chelsea’s first goal of the match and his 200th goal since joining the team. The game itself was spectacular viewing and I’m sorry if I offend the West Ham fans of the world, but Chelsea ran rings around them with the game finishing with a 2-0 win for Chelsea. Though it should be noted that the fact they only scored the two goals was most annoying. I think I counted at least another 9 near misses. During half term we returned to the platinum dinning area for refreshments of beautiful cream scones and tea (with alcohol and juices still firmly on the menu). With Chelsea’s win everybody was in high sprites and as to let the crowds outside settle we enjoyed the last part of the package – post match hospitality. This included some hot snacks and more free bar till around 6.45pm, an hour after the final whistle. This was great as I didn’t really fancy joining the long queues for the tube. Little man gets really panicky using the underground when its too busy, plus I didn’t want him to be smack in the centre of any fan banter… (Some of the West Ham fans seemed full it during the game) and although this is mostly harmless, little man can get a bit upset hearing others shout out rude comments about a team he loves. We enjoyed our last hour as VIPs before finally embarking on our journey back home to South London. We even caught a glimpse of John Terry with his two beautiful little girls on leaving Stamford Bridge, a great ending to a perfect day. I would highly recommend Stamford Bridge Platinum Hospitality Package, especially for special occasions, business events or for those who just purely enjoy to do things in a luxurious manner. Its a bit different to what most are used to (including myself) but a great experience all the same. With great, seats, food, drinks and importantly, great atmosphere … Stamford Bridge, Platinum Hospitality Package does well to impress! If you fancy watching a Chelsea FC at home game in style, then checkout the official Chelsea FC website for hospitality packages and all other relevant information. Disclaimer: This is not a paid review and I haven’t been asked to write this. 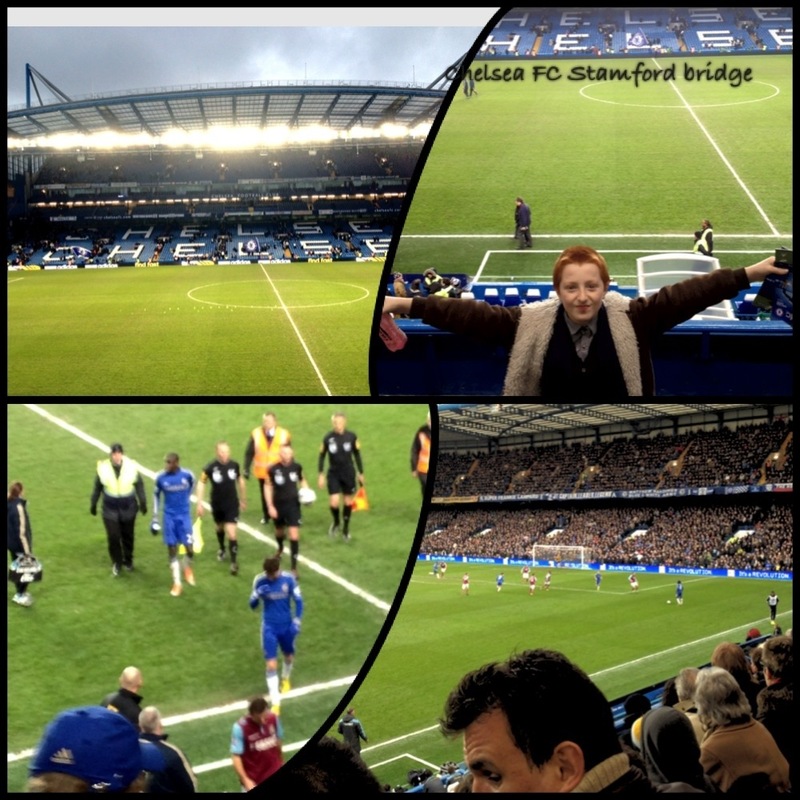 I was lucky to win a pair of tickets to the Chelsea Vs West Ham Game on a VIP Platinum Hospitality Package with Lucozade Sport. I had such a great experience I felt it worth my time to share it with my readers and those thinking about opting for the same experience. All views and words are my own and have not been influenced by anyone else. 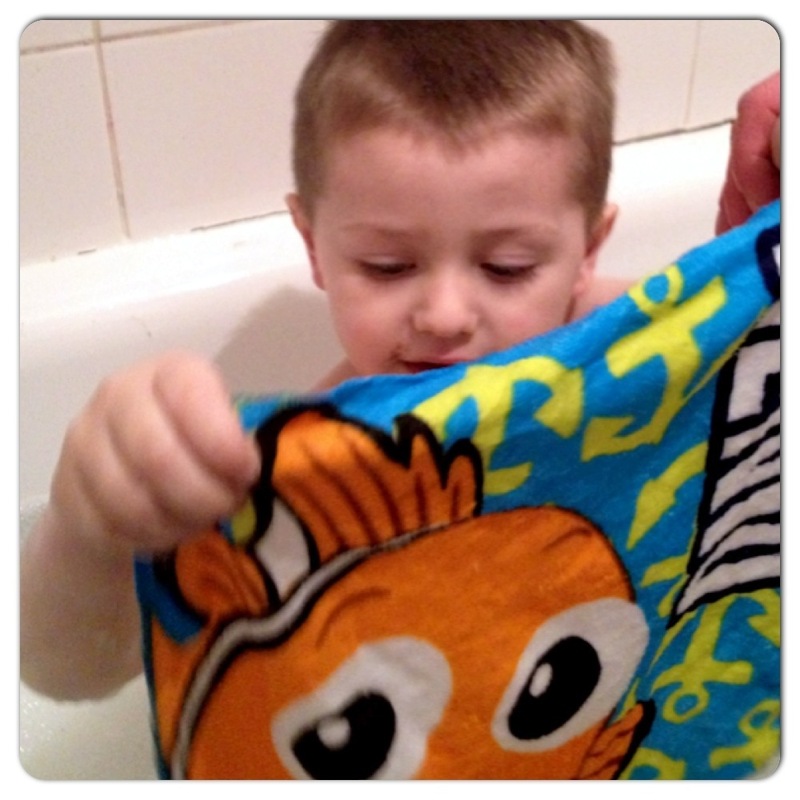 In celebration of the pending release of Disney Pixar’s Finding Nemo due to hit cinemas this Easter (29th March 2013), the toddler got busy testing some of the finding Nemo bath time range from the leading children’s toiletries specialist, H&A. 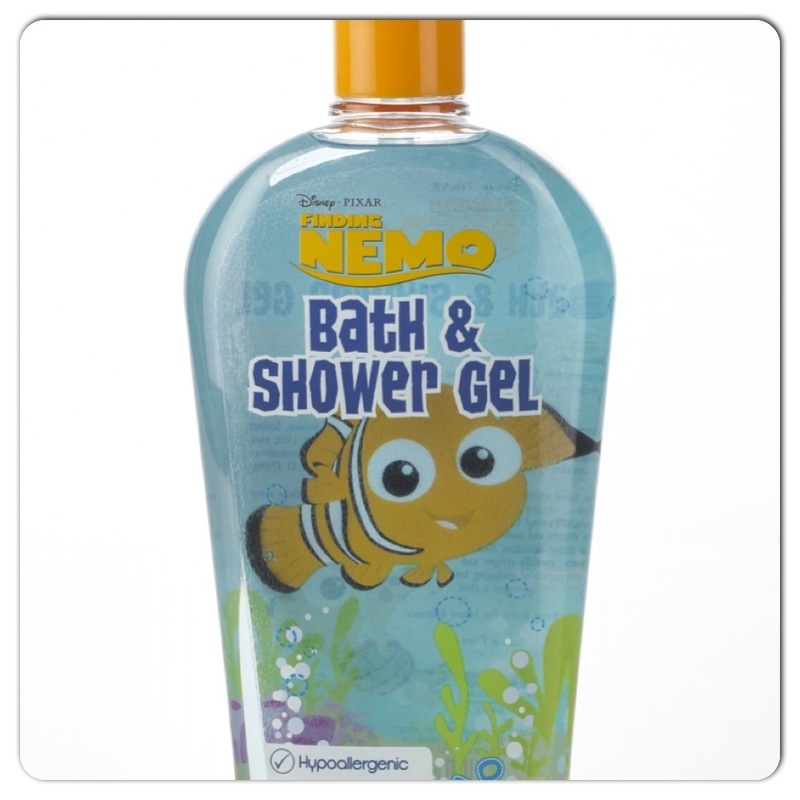 With a delightful selection of products on offer bath time can be even more fun, as My toddler proves. 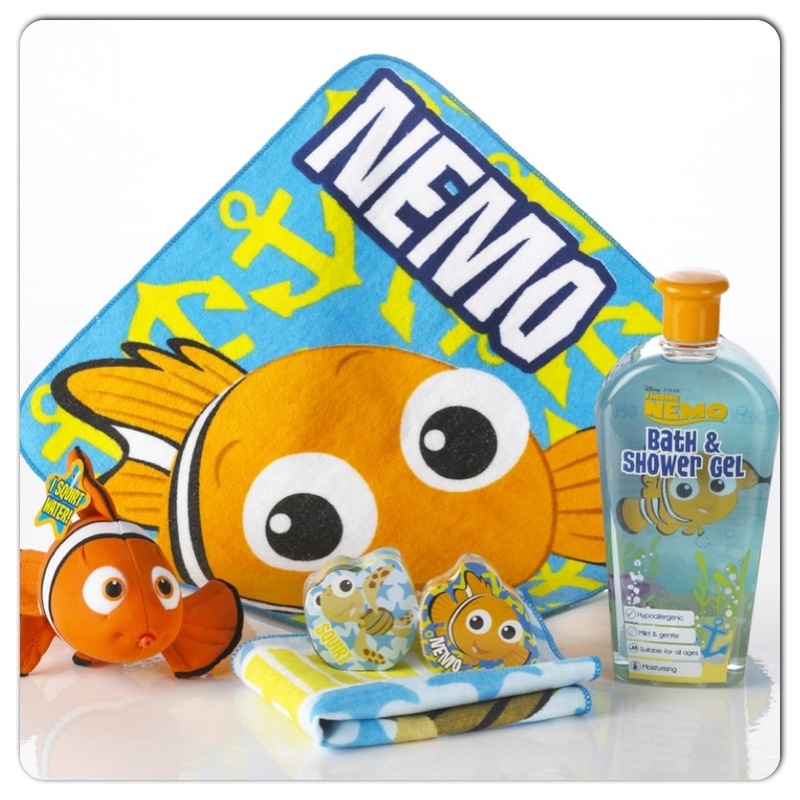 We were sent a lovely selection of items that included Nemo themed bath and shower gel, a fun water squirting Nemo and a couple of magical Nemo face clothes. The little one loves both baths and Disney animations so the combination of the two was bound to result in a happy 3 year old. The bubble bath which Harley insists he dispenses himself, produced lots of bubbles with only a small squirt added to running water. Not only did he now have a huge tub of bubbles to happily sit and play in but a gorgeously scented one at that. 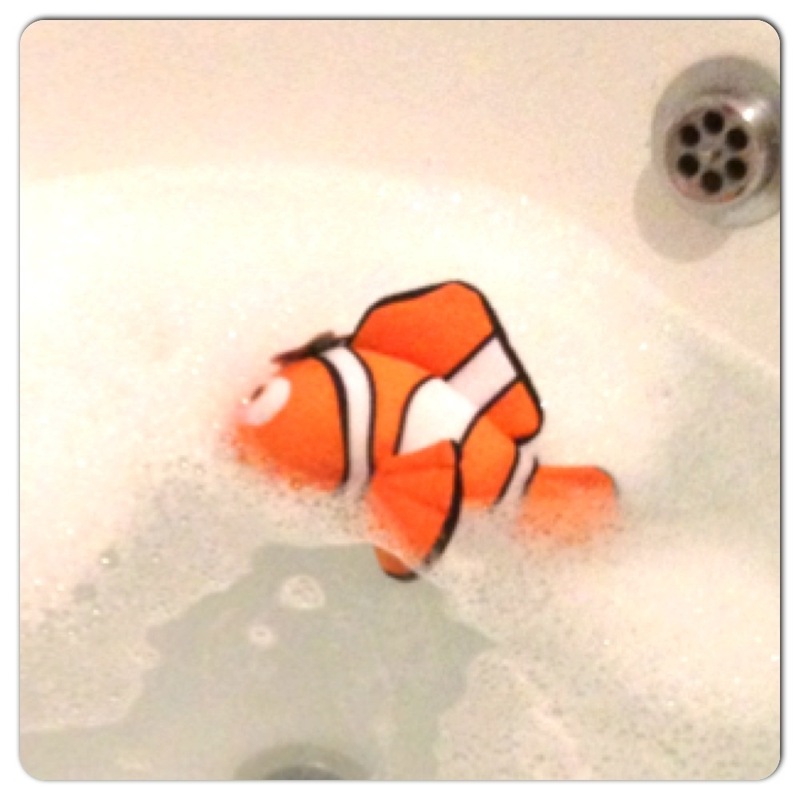 As for the Nemo bath toy, well as expected Harley had great fun transporting it around the tub at speed. As soon as we heard about the range coming our way, I thought it would be a good idea to dig out the original DVD from my daughters growing collection in order for little brother Harley to discover where Nemo came from and the story behind him. 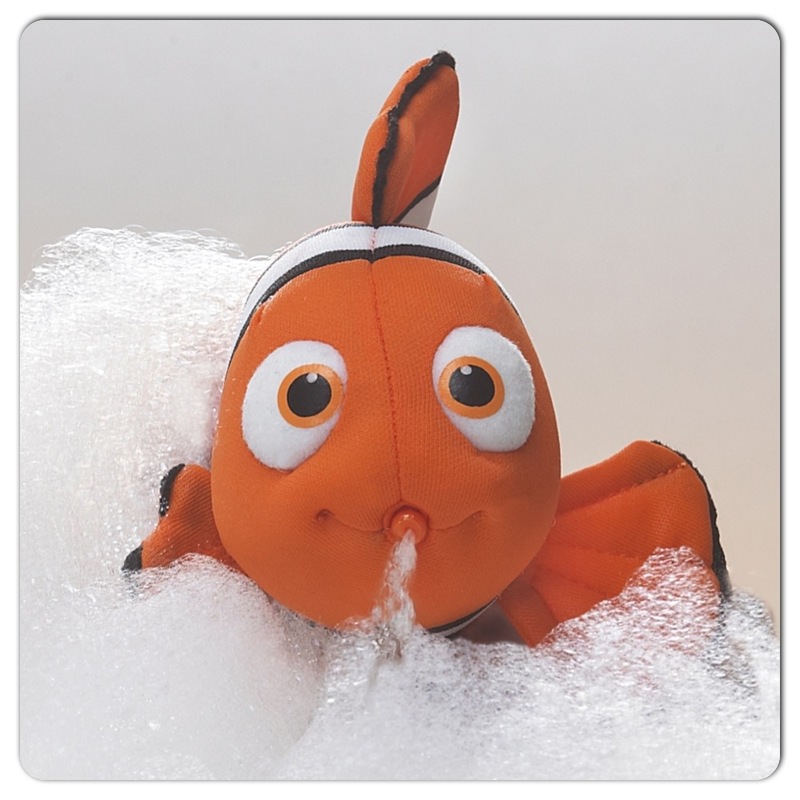 Having engaged in some serious viewing time you can just imagine the excitement when the postman delivered his little package of Nemo bath time goodies. Nemo has since accompanied Harley for every bath and he absolutely loves the range. The face clothes are that of the magical kind. Once they are placed in water they expand into a full face flannel. For a 3 year old this is a very magical experience and I can see myself having to buy some more so he can experience the magic all over again. 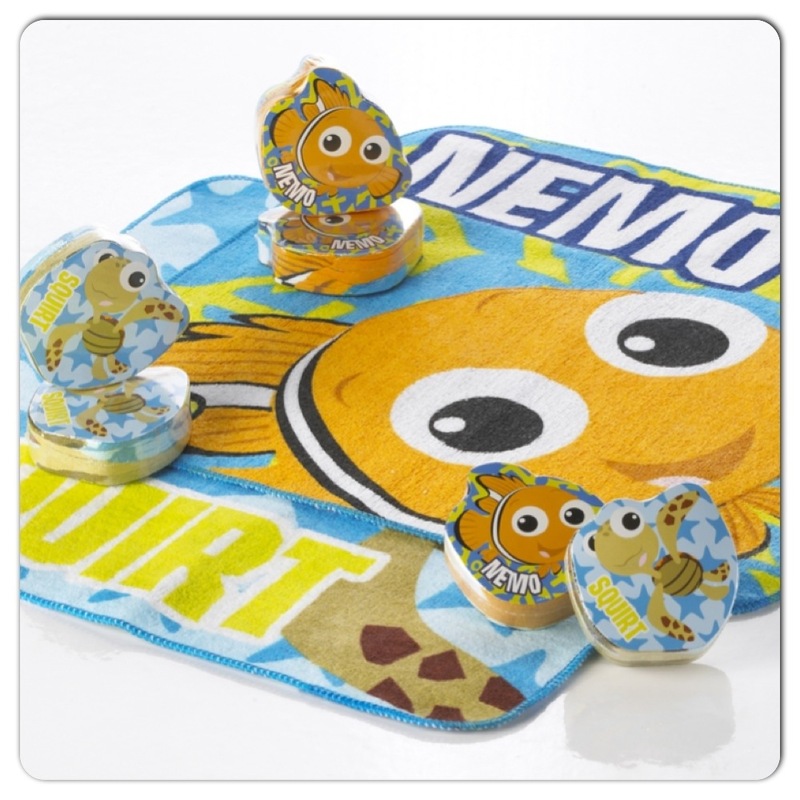 Once these face cloths have expanded they reveal a vibrant & fun design featuring two of the films much loved Characters including Nemo himself. The range is perfect for little ones and with an element of fun behind it, the range actively encourages good hygiene for 2-6 year olds. Products are available in all good supermarkets. 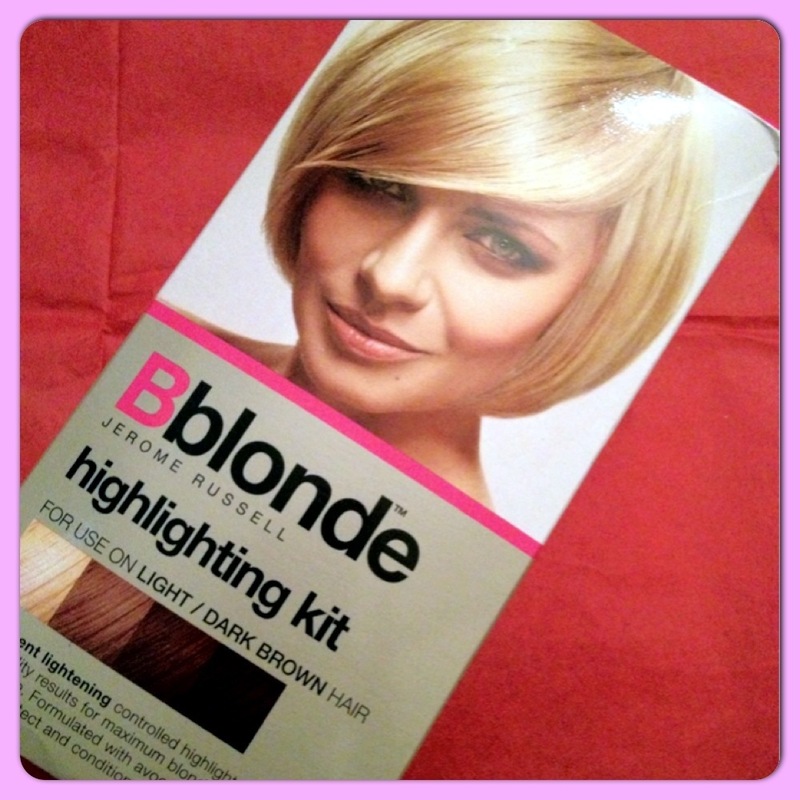 Recently I was sent the Bblonde Jerome Russell Highlighting Kit to review. The kit promises professional salon results for permanent lightening & controlled highlights. Its formulated with avocado oil & seaweed extract that together claim to protect and condition both hair and scalp. The kit I was sent is recommended for light to dark brown hair. You see, I am actually a natural blonde yet you’ll never know it. Past hair dying experiments, age and that of pregnancy (3 of them) has actually turned my hair much darker over the years. I know this because now my roots almost look dark brown so I guess that this maybe the best colour choice for me. Now I’ve used Jerome Russell products before, but not this kit! With my hair in desperate need of colour root touch ups, I’m going to give it ago. Instead of worrying about highlights I’m going to use it first in an attempt to cover these awful roots. So, as you can see, the pack contains all I need apart from the little things I can find around the home, such as… A watch/timer, cotton wool buds, old towel, petroleum jelly, warm running water and a plastic spoon (or something else to stir the mixture). The leaflet was very detailed, explaining all stages of the application and development process. Of course like all kits, you are advised to do a strand test 48hrs before full application. This always makes me laugh as it states that you need to wait 48hrs before full application of the bleach, yet at the same time we are advised to apply bleach immediately once it has both been opened and mixed! On application I actually didn’t need to use the cap that was provided, which is kinda lucky as I’ve always found the whole hook and cap think long and sort of difficult to complete alone, preferring to work with foils instead. As I was only touching up my roots ( I say touching up, though it was a little more than that) I just needed to use the brush to apply to the “Many” dark areas. I think over time my problem has been laziness, as I’d always just apply to the whole head just massaging everywhere for complete coverage. The problem with this is, that although roots are covered and become lighter, the rest of the hair that technically doesn’t need lightening, gets lighter too making the roots always appear that bit darker then the rest of the hair. This time I was adamant to do this properly! The mixture, is a very powerful bleach that when ingredients have been mixed together, turns an almost frightening shade of purple. 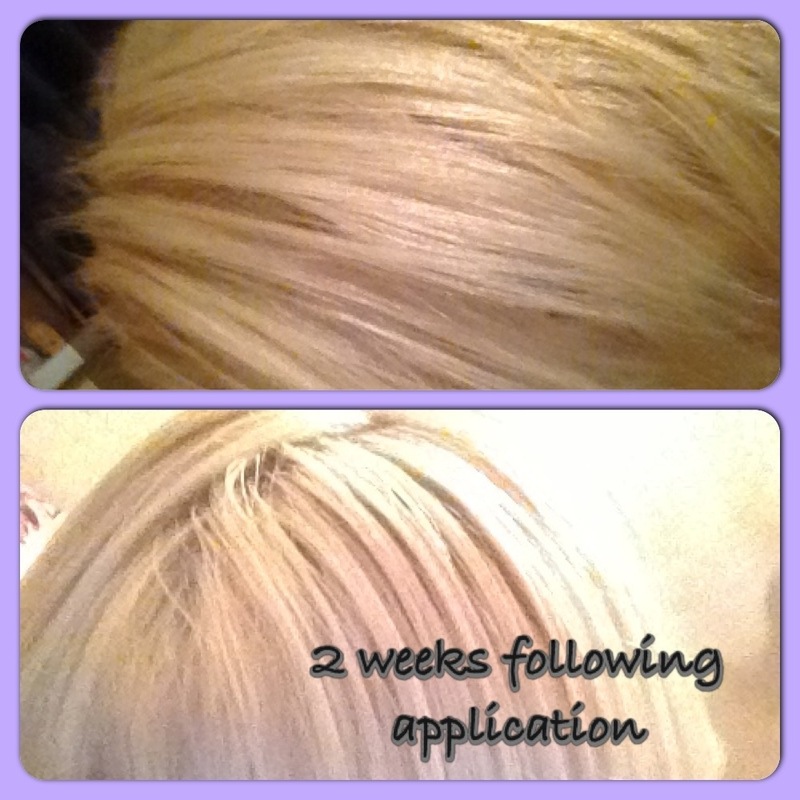 Its thick texture makes it easy to apply, avoiding any running or drips of bleach onto areas of hair you wish to avoid it. Despite its super strength, although the smell is a little strong it isn’t too overpowering and didn’t leave me with a headache like other brands have in the past. Once all areas of the hair are covered in bleach there is a second cap (development cap) for you to wear. As mentioned my roots were rather bad and I was therefore a little unsure if the suggested development time of 15 minutes was really long enough. In actually fact, it was! Having washed this off I was happily surprised with how well the product had worked in the short space of time. When washing the bleach out of my hair, I used the included conditioning shampoo sachet that smelt very pleasing. 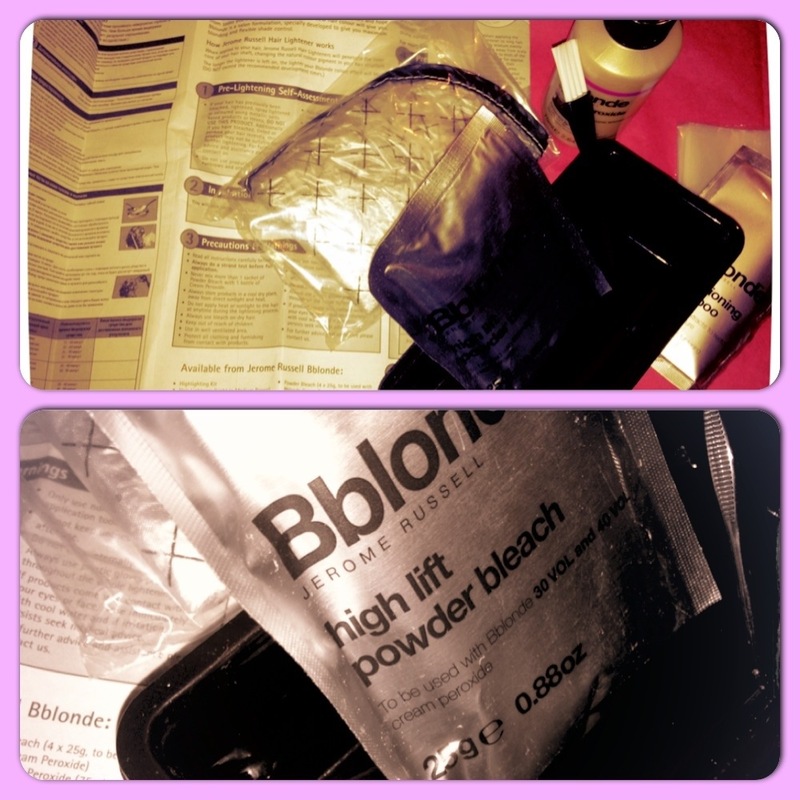 I do hate how awfully dry and brittle such a strong bleach can leave your hair feeling after application. I’ve used hair bleach many times and its felt as if my hair was in this dry state for weeks, even months after Initial application. I think it may have something to do with the conditioning shampoo found in this lightening kit, as it really did seem to restore some of the moisture back into the bleached hair. I did also apply some intensive conditioner following application of the shampoo but I do this for every brand I’ve used in the past and this one defiantly didn’t leave my hair as dry as others. Saying this I would always recommend a good conditioning treatment application preferably preformed in a salon, within the first week of bleaching. I feel that by doing this I’ve actually saved myself money in the long run when I’m left trying to repair my dried out hair. The final colour was very light and Immediately following application you like me, may think its a little bright. You could then use any toner which is something I nearly always do with any hair bleach.You can buy small sachets of toner from almost any beauty store, chemist or supermarket. 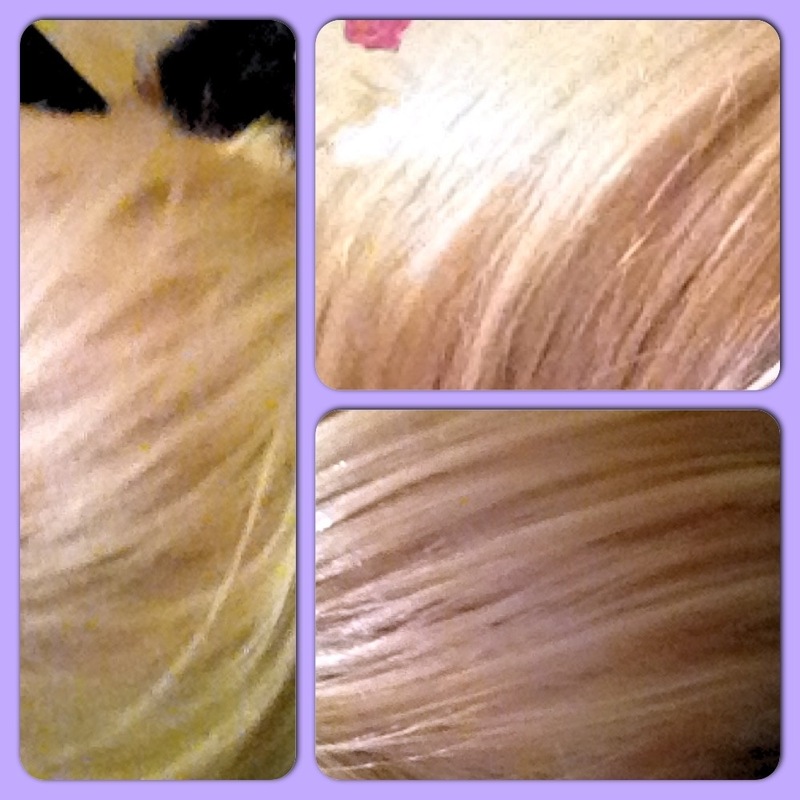 Mine didn’t look brassy or yellow as it has done in the past, mine was just a tad bright. Given it was only a little I didn’t bother with a toner and looking at my hair now some 24hrs later, following a second wash, it doesn’t look to bright at all so I haven’t even needed to apply anything more to adjust the intensity of colour. The same morning I bleached my hair I had it cut at a professional salon. Discussing with the hairdresser how I’d only just bleached my hair some hours before, he commented that the John Russell bleach had done an awesome job on my roots (I guess he was pleased he didn’t have too)! 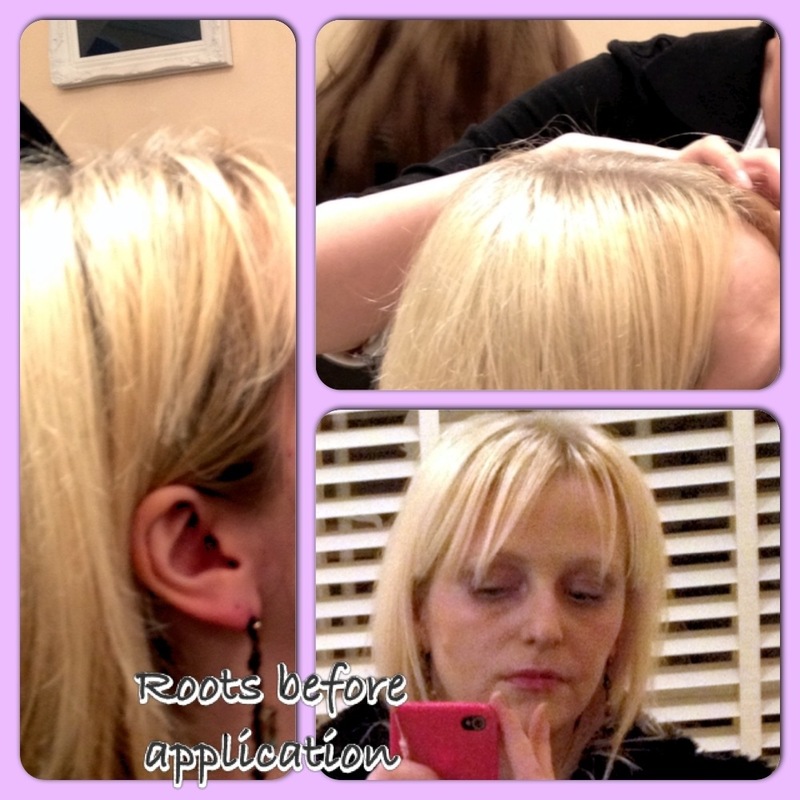 It was here I’d opted for a deep conditioning treatment and I’m extremely pleased I did. For this reason I couldn’t possibly comment on the condition the dye left my hair in, in let’s say a week following application. However, I can comment that I was very pleased with the end results and will almost defiantly use the highlighting kit again. For more info on the Jerome Russell range visit their website or check them out on Facebook. Plus I’ve just discovered that Jerome Russell are currently running a great competition to win a different range of hair products. Visit their site on the link above for more information on the competition. Disclaimer: I haven’t been paid to write this review but did receive a free full size highlighting kit as to provide an opinion that is honest and that of my own. Mother’s Day, a day of relaxation breakfast in bed and bunches of daffodils… Yer right! Ok, I’m pretty such the kids have made me some lovely homemade gifts and cards which I prefer! As for the whole relaxation thing… Well… An almost teenage boy with Aspergers Syndrome, a daughter who is fast forming a bit of a chip on her shoulder and an ever demanding toddler, I can most certainly forget that! As it happens we are actually off to my nieces and nephews Christening this morning, so breakfast in bed is gonna have to wait anyway! I do love being a Mother! Life Is always full of little surprises and I can’t honestly remember the last time I felt the need to complain that I was bored! The memories built with my children are all so precious, whether its memories of our first family holiday or the day in which each one of them arrived in the world. 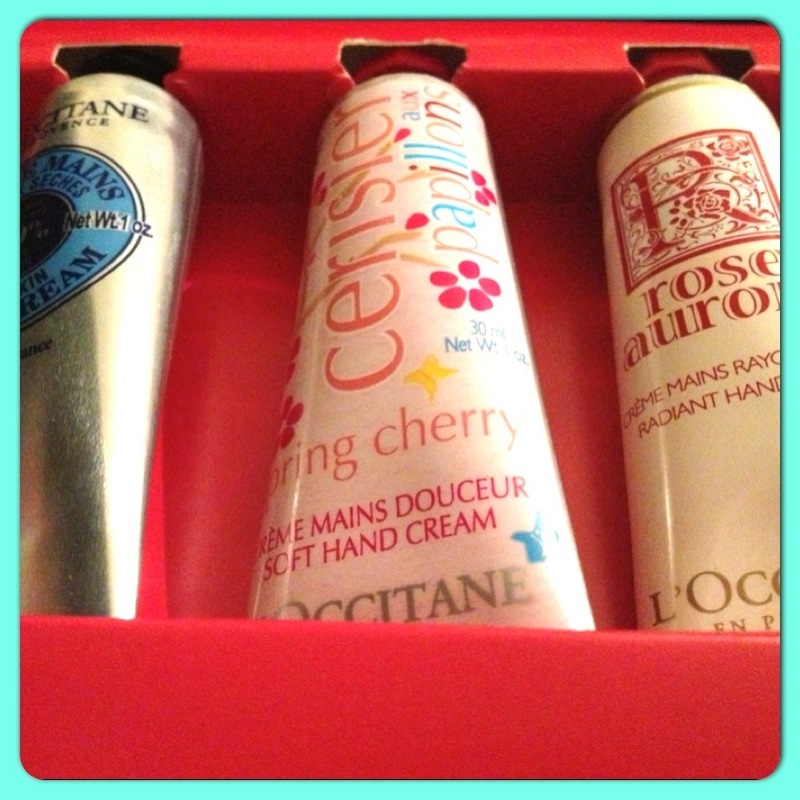 Yesterday I was sent a lovely little gift from L’Occitane & The Millennium Hotel. Their intention being, to make my Mothers Day that bit more specia.The gift, a beautiful little boxed set that contained, 30 ml of Shea Butter Hand Cream, 30 ml of Rose Autore Hand Cream & 30 ml of Spring Cherry Hand Cream. All delicately scented and beautifully presented making them the perfect little treat for hands. Earlier in the week the Millennium Hotel had asked me a few questions that I was more than happy to answer, like what’s my most memorable holiday? To which my answer was… Its hard to choose just one whether it be the all inclusive packaged holiday to the Caribbean or the week spent at the Lake District, each one was special in its own little way. As for family holidays, we had an awesome trip to Oxfordshire a few years back! We were attending the fabulous Wilderness festival, camping in a tent for the weekend. This mini break has to be one of my most memorable. I’d never done the whole outdoors thing, but the kids loved it. 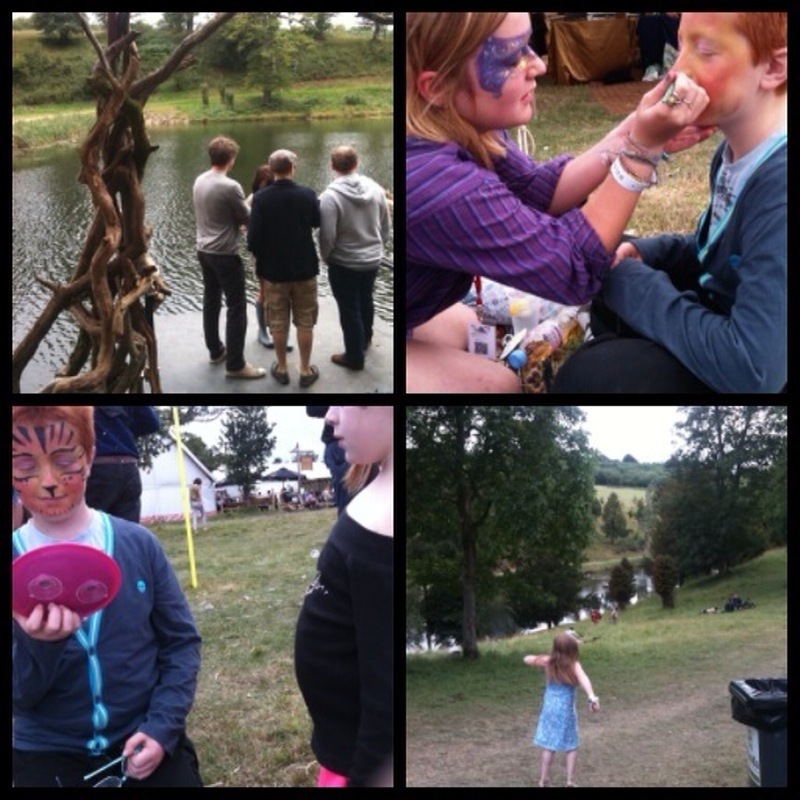 There was plenty to do at the festival and if the kids were not enjoying a sessions hola hooping we’d be swimming in the beautiful natural lake that runs through the woodland. I’ve actually never stayed in a Millennium hotel but looking at the London hotels on their website I would defiantly consider both the Mayfair and Knightsbridge hotels. Both are in great locations and seem to offer luxurious facilities. I like it when a hotel goes the extra mile by providing its guest with those special little extras to make their stay more comfortable. I’d be extremely pleased to find L’Occitane products in my hotel bathroom and the Millennium Hotels offer just that. Having read some rave reviews on the Millennium Knightsbridge Hotel it would seem L’Occitane and the Millennium form the perfect partnership. Well, thanks to both the Millennium Hotel and L’Occitane for the beautiful gift. Maybe next year I’ll be in one of your London hotels enjoying a L’Occitane bubble bath for Mother’s Day. Must dash… A christening awaits. No Financial payment was made for writing this post. 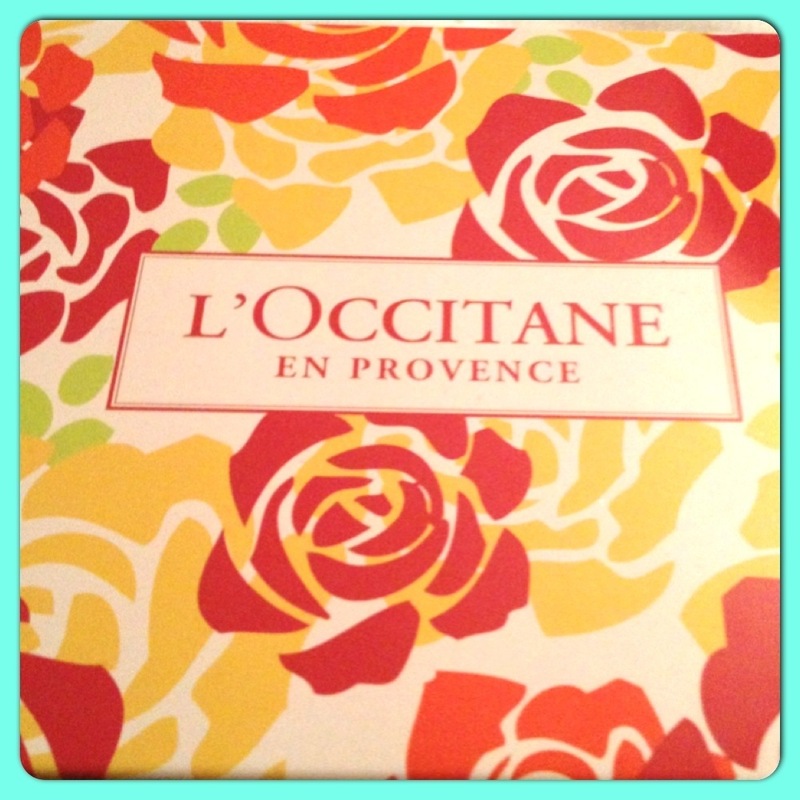 I did receive the L’Occitane gift free of charge for the purpose of this review. Nonetheless I was under no obligation to write about it. All opinions are honest and that of my own. I had no idea what to expect when arriving at the La Durbin, though I wasn’t to be disappointed. 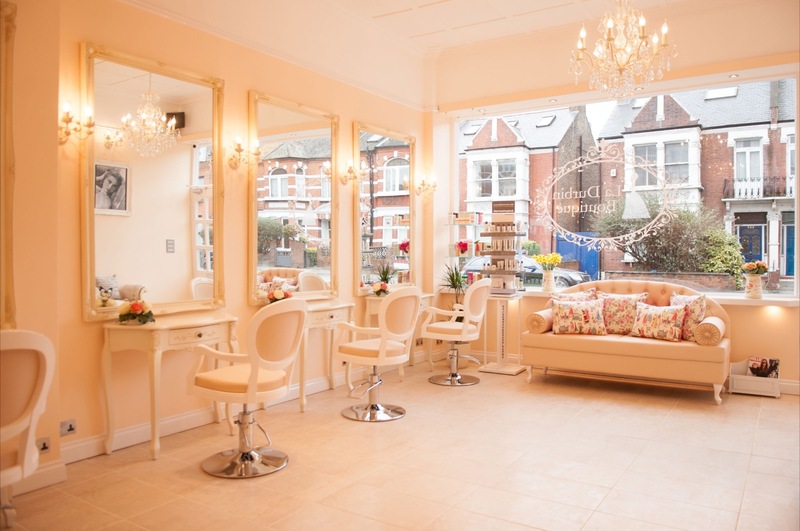 This is a Salon that has opted to avoid that modern almost “clinical” look and have instead created a beautiful elegant French vintage inspired setting (we all know how much I love the vintage look, so its a winner for me)! The salon itself is simply stunning with beautiful French inspired furniture and fittings. The staff are some of the nicest I’ve met in a salon and the treatments provided are all of the highest quality. Myself and a good friend arrived at the salon around 6.30pm and the party was already in full swing. We received the most warmest welcome from Latifa Durbin – salon owner and manager, who made it her mission to greet each and everyone of her guests Individually, and after being handed a glass of bubbly we were encouraged to enjoy the range of treatments on offer. 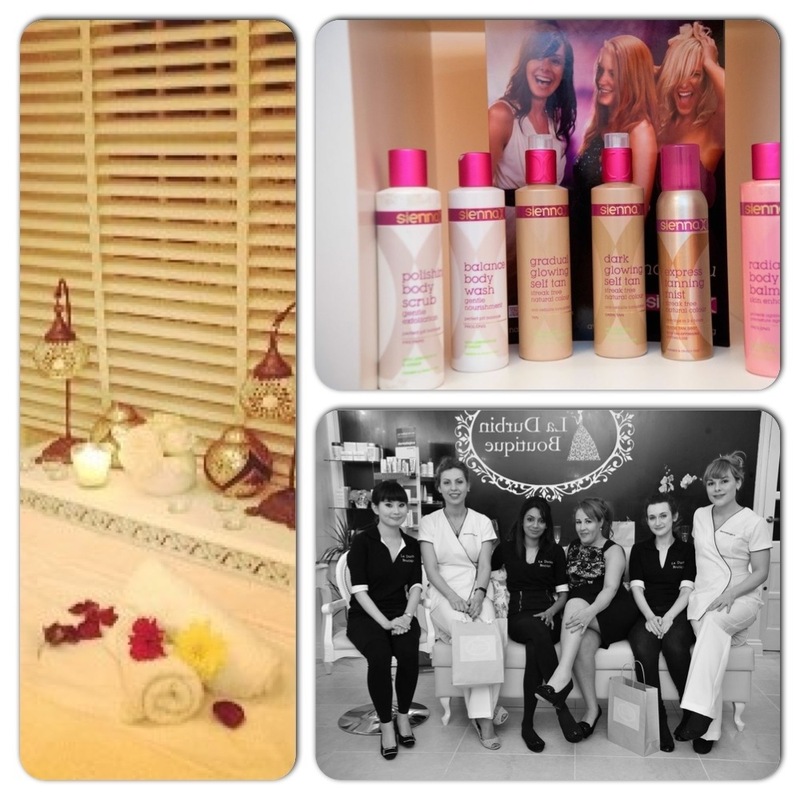 La Durbin Boutique offer a wide range of hair and beauty treatments from a cut and colour to a facial using products from the Dermalogica range or a Sienna X spray tan. I got chatting with one of the salons lovely stylists while having my hair straighten. I received some great advice on the best ways to take care off my somewhat fine and broken hair. I also got the opportunity to step into the tanning booth and receive my first ever Sienna X spray tan. I’m a tad body conscious since having my third child and almost backed out. The lady who sprayed me really was lovely helping me to relax and feel at ease in no time. Sadly I’m a girl who doesn’t seem to develop a natural tan in the sunshine and have therefore always been rather on the pale side.The Sienna X tan took to my skin really well and took no more than around 10 minutes to apply. I entered the tanning booth resembling Snow White and came out looking like I’d just stepped off a plane from Greece. The Salon offers Sienna X spray tans for around £30 which I thing is really reasonable and I’d highly recommend it. Representatives from the Dermalogica brand where also on hand throughout the evening and having established my skin type I was able to take home some product samples suited to my dry and slightly sensitive skin. I’ll be sure to update the blog with my thoughts on these samples soon. Looking at the salons treatment menu I’d possibly love to try out one of the facials using the Dermalogica treatments to experience the full benefits of such a product. I also got to check out the Manicure bar that I was drawn to by its display off eye catching polishes from O.P.I and Shellac. Intrigued about the latter, I soon discovered that the salon offer the 3 Week Manicure which is created using the salon product Shellac. This promises exciting results, by opting for the Shellic manicure, its promised that 3 weeks in your nails will still look as good as the day they were painted. The prospect of a truly chip resistant polish for up to 3 weeks has defiantly left me excited. Its something I must try and am very keen to. So, having been freshly sprayed and having undergone a little hair restyling I was spoilt that little bit more when the salons makeup artist, offered to jazz me up a little. Not only did she do a truly wonderful job as I relaxed in the chair feeling totally pampered but I also managed to pick up a few makeup tips and tricks to take home with me. It was great to try a whole new colour pallet, discovering new colours that suited me, ones I never thought would. At first I was a little shocked at the prices charged by the freelance makeup artist, but can now say that these do truly reflect her work, work that is absolutely amazing. Whether its natural daytime, party eyes or bridal makeup, no Job is to difficult for this lady. The launch party was a magnificent evening. 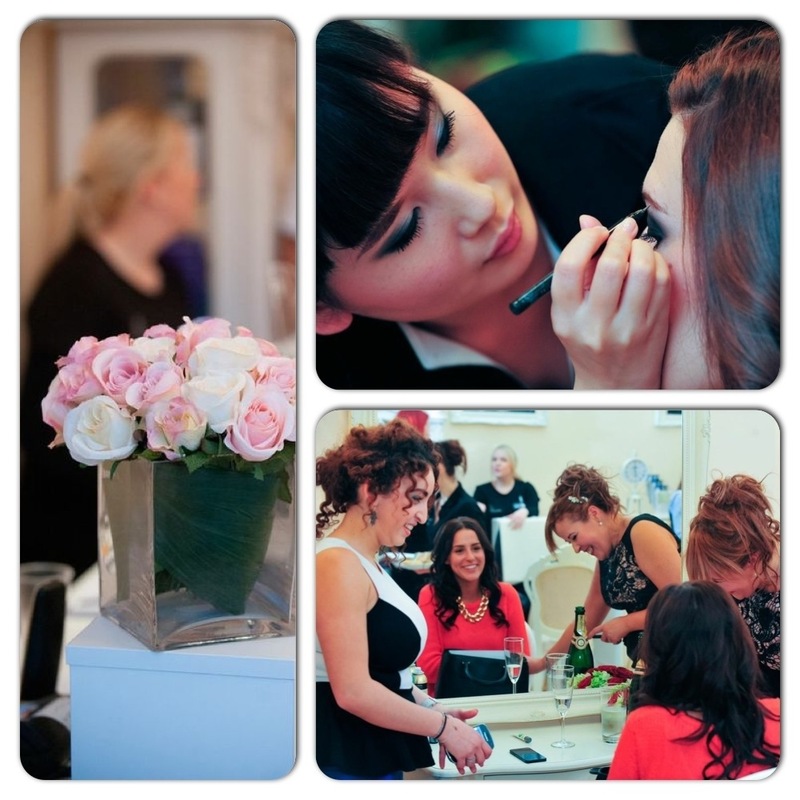 The atmosphere was perfect and the Salon manager Latifa was so lovely making all her guest feel very welcome. A perfect party host and ideal Salon Manager. Though, I wasn’t the only one having a great time! 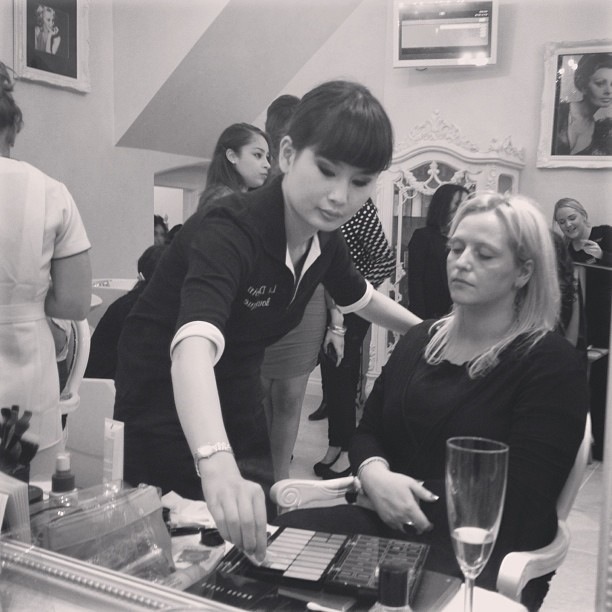 There was also one or two celeb faces receiving some of that La Durbin magic! 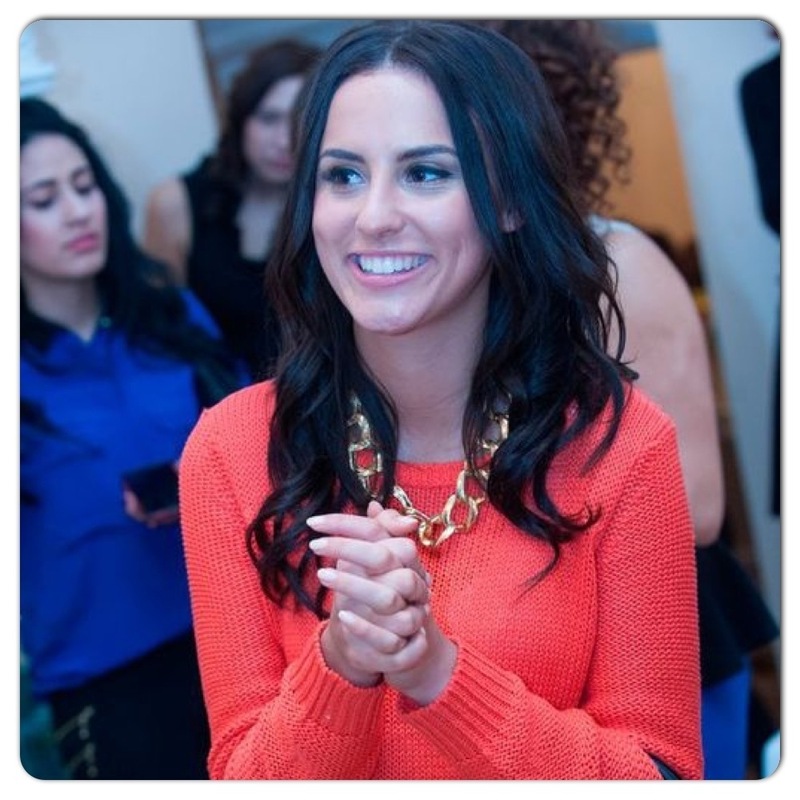 Below is a picture of Lucy Watson one of the made in Chelsea ladies leaving with a smile on her face. In fact everybody left smiling and feeling a million dollars, including myself. La Durbin Boutique has now fully opened for business. I’d recommend that you ladies close to Fulham Place Road go check it out! Seriously, you won’t regret it. Check out La Durbin Boutique on twitter or like their Facebook Page for all the latest news and offers. 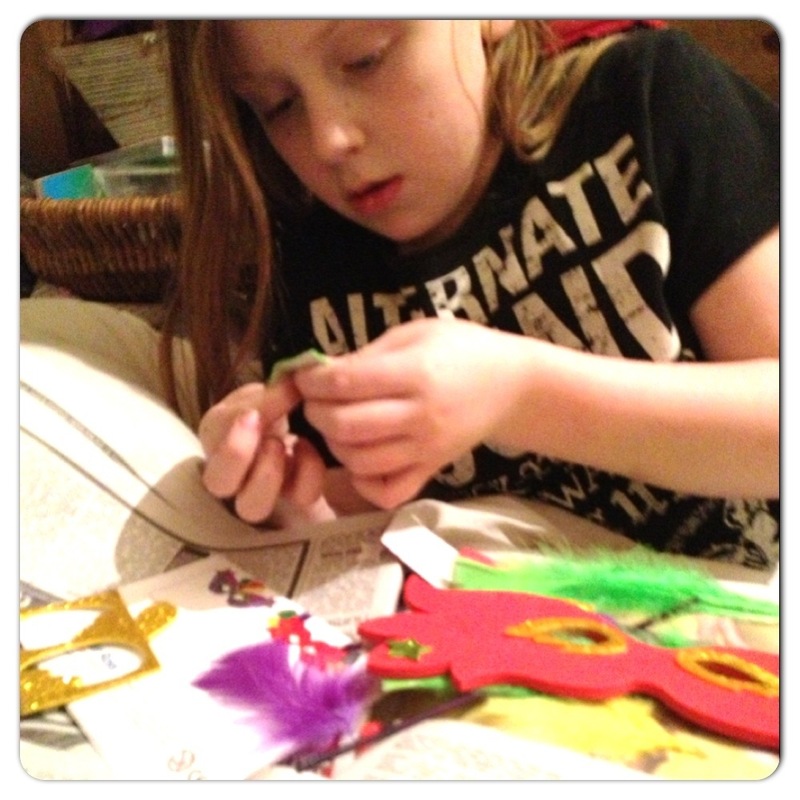 I love crafting with the kids! 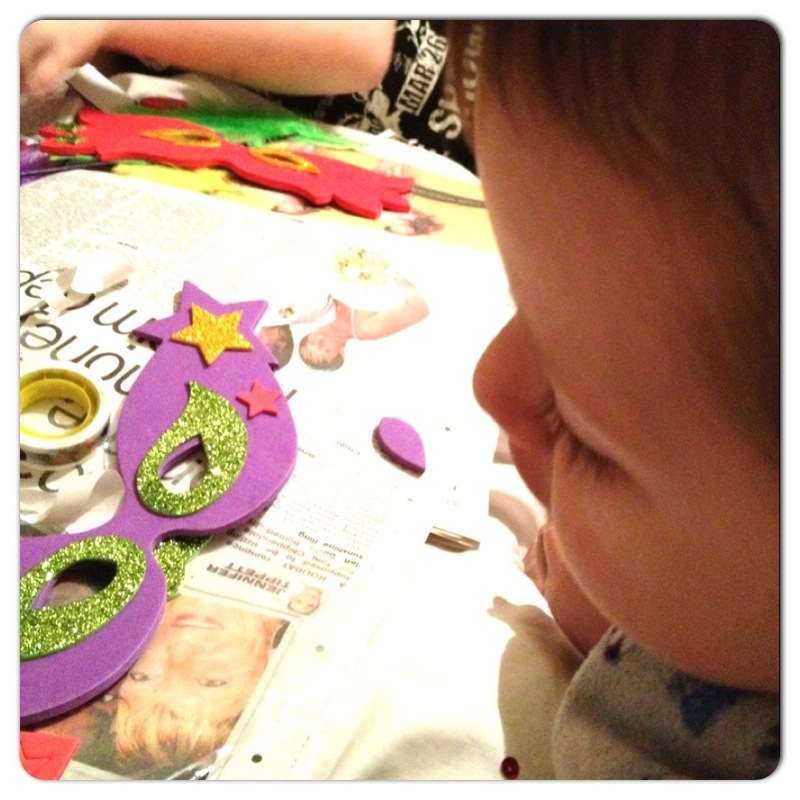 As mentioned Little man who is 12 and has Aspergers Syndrome and he isn’t overly keen on the whole crafting thing.But younger sister Alice-Sara and the Toddler can’t seem to get enough of it! 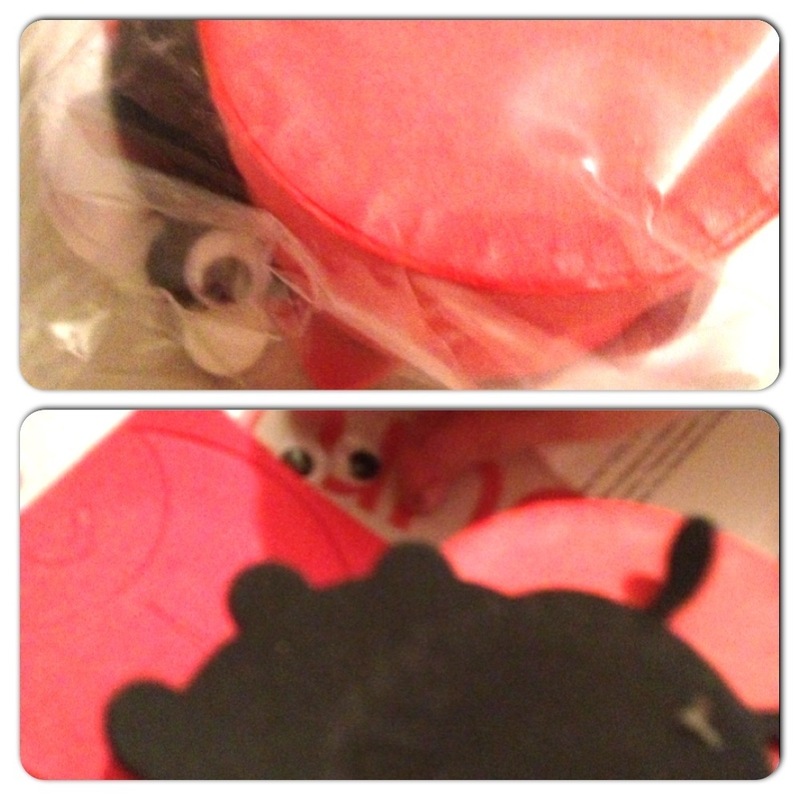 We are very lucky to be Baker Ross Ltd Reviewers and love the fun stuff they send us. Last week we shared some really fun activities, including… Scratch art bug magnets, British butterfly decorations and decorated foam pencil cases (click here for post)! 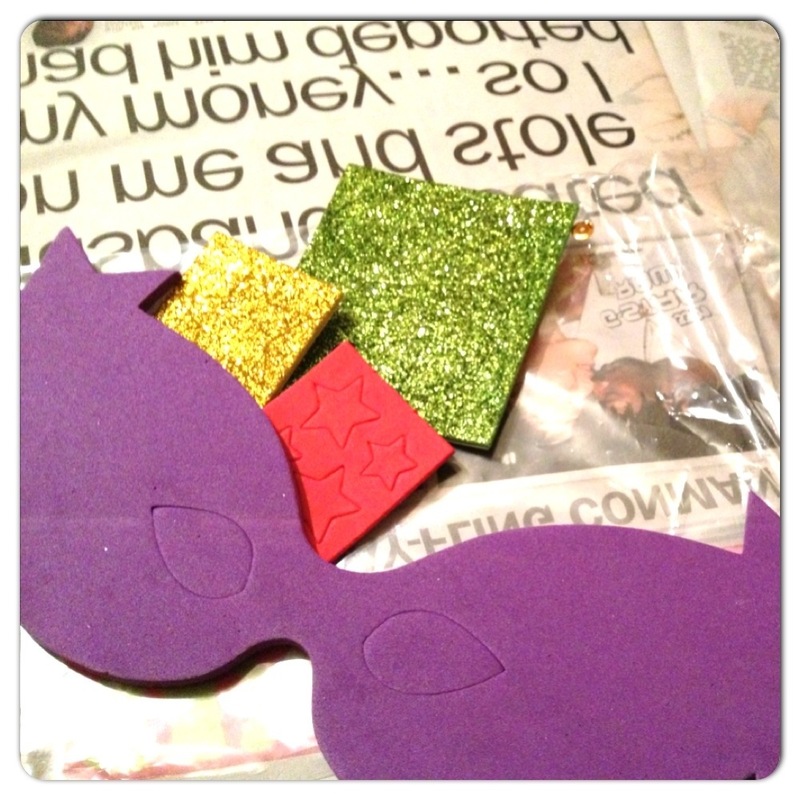 This week its all about glitzy Carnival Masquerade mask kits (perfect for the upcoming festival season) & cute foam bug boxes. 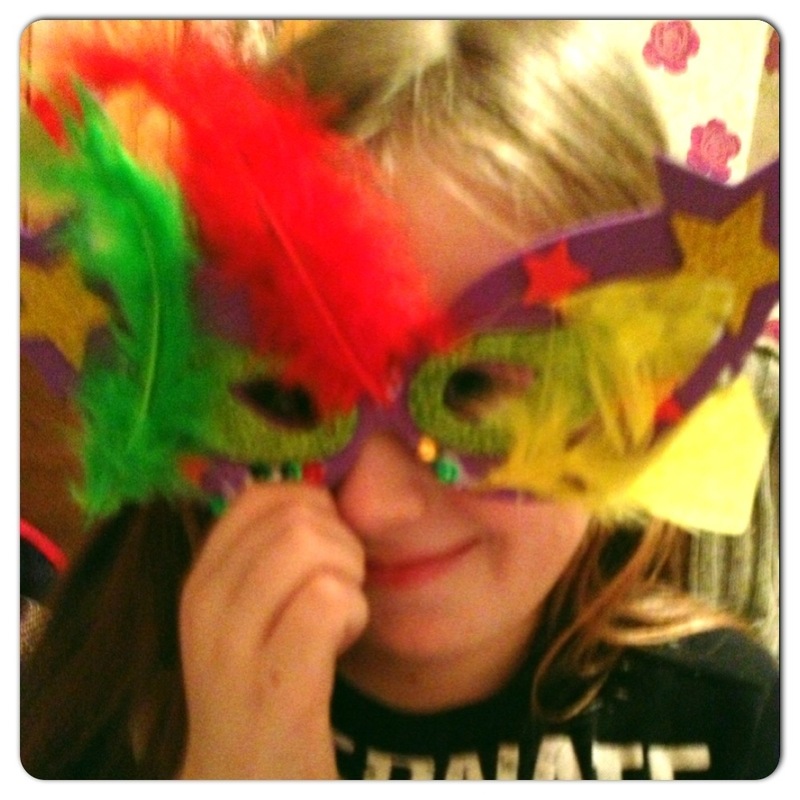 The children really enjoyed decorating the masks. We were sent a set comprising of 2 kits. 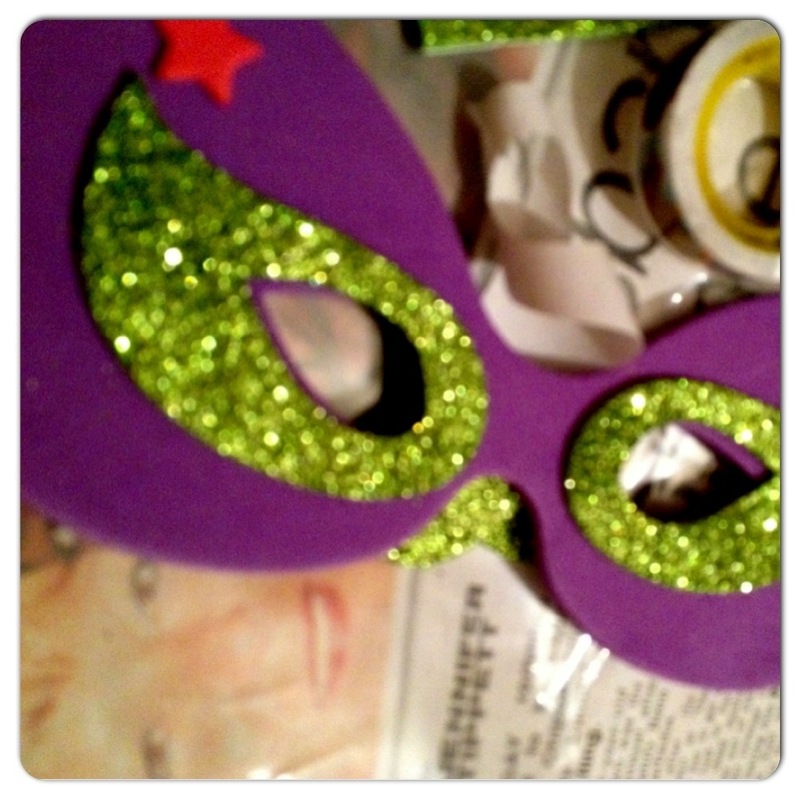 Each contained, pre-cut foam mask, feathers, sequins, glitzy self adhesive decorations and a wooden stick for supporting your mask in place as you hold it to your eyes. 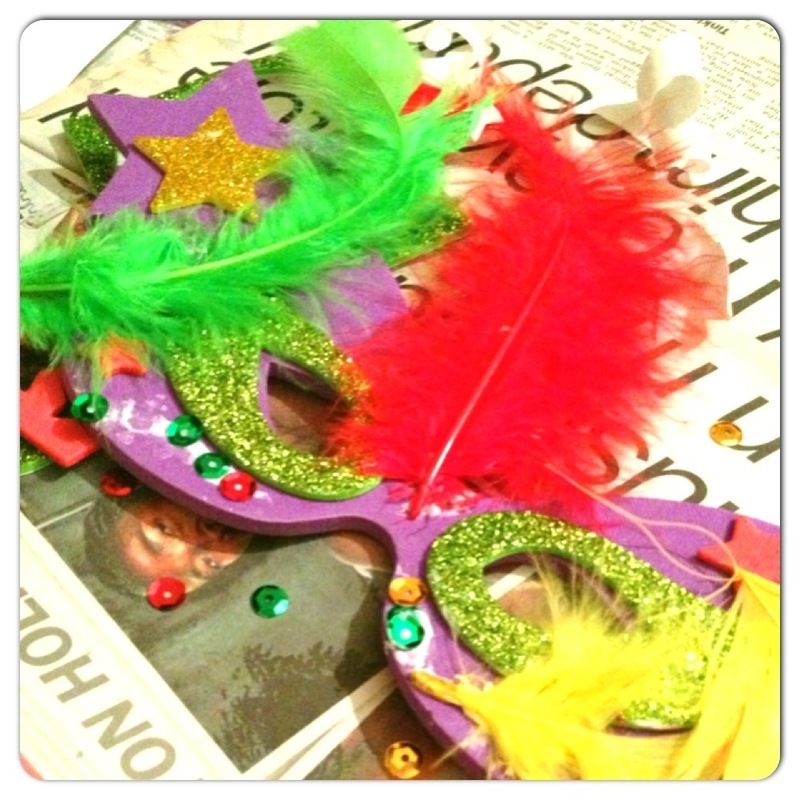 The only thing we needed was some glue to stick the feathers and sequins, plus some tape for holding the stick in place. Given Alice-Sara is 10, she required no help whatsoever. I helped the toddler correctly place the glitzy foam around the eyes but basically let him go wild and freestyle the rest. Foam is a difficult material when it comes to sticking things to it with glue and many ordinary glues just don’t cut it. We’ve been using Baker Ross Ltd Tacky Glue for a while now and this seems to work perfectly. Also it should be noted that the same applies when it comes to taping down your stick in place, so good strong tape works best! These were so much fun to make. 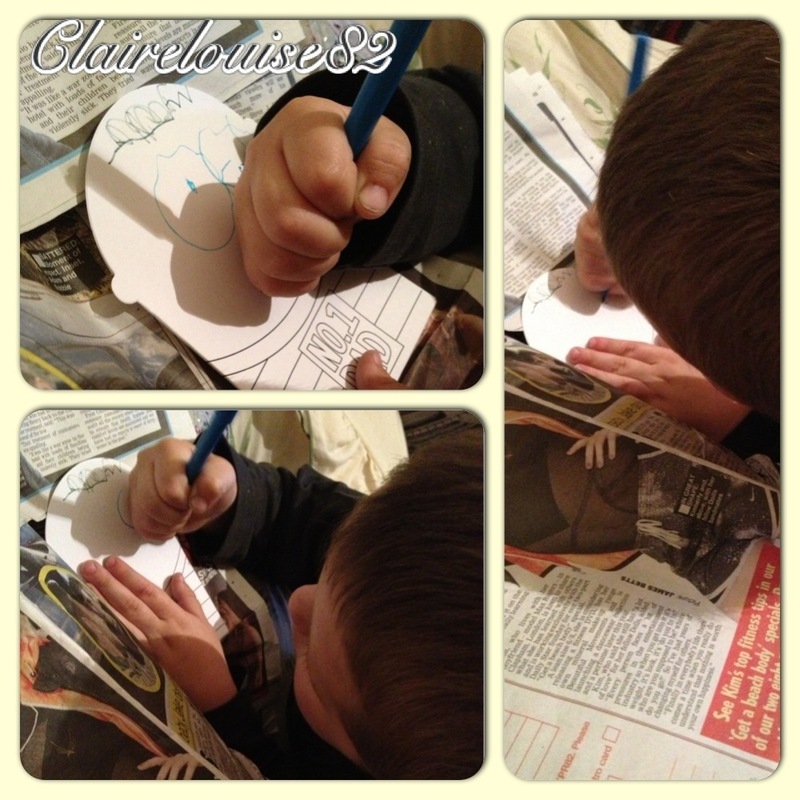 Follow the examples on each instruction sheet inserted in each kit or let the creativity within come flooding out by letting the little ones freestyle their own design. I love the way these turned out. 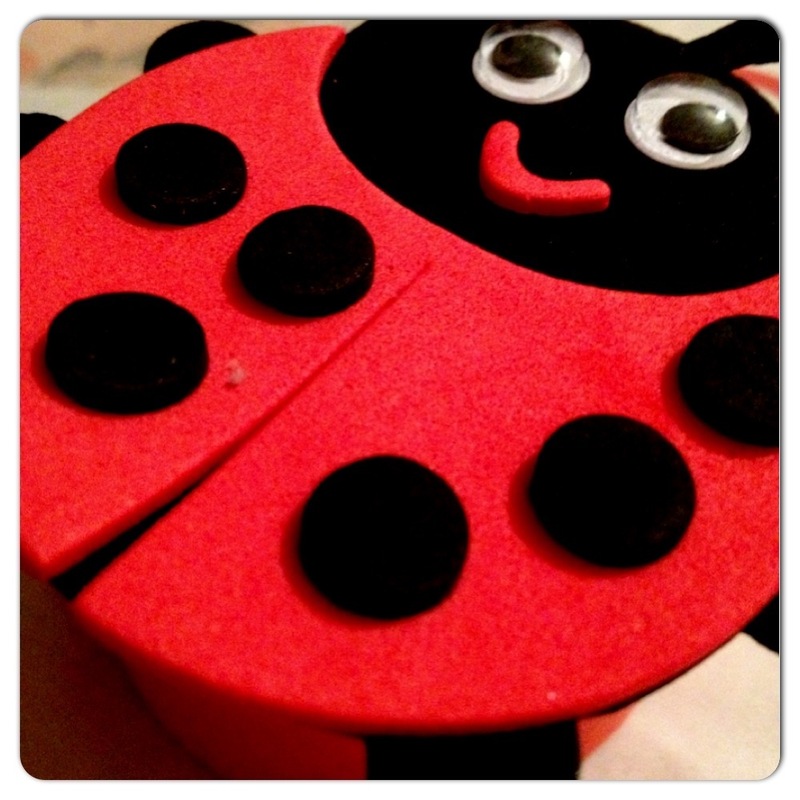 The Bug Box Kits are very cute and simple to make. We were given a set comprising of 4 kits, each containing, a small box, large foam shape, smaller self adhesive foam pieces and instruction sheet. 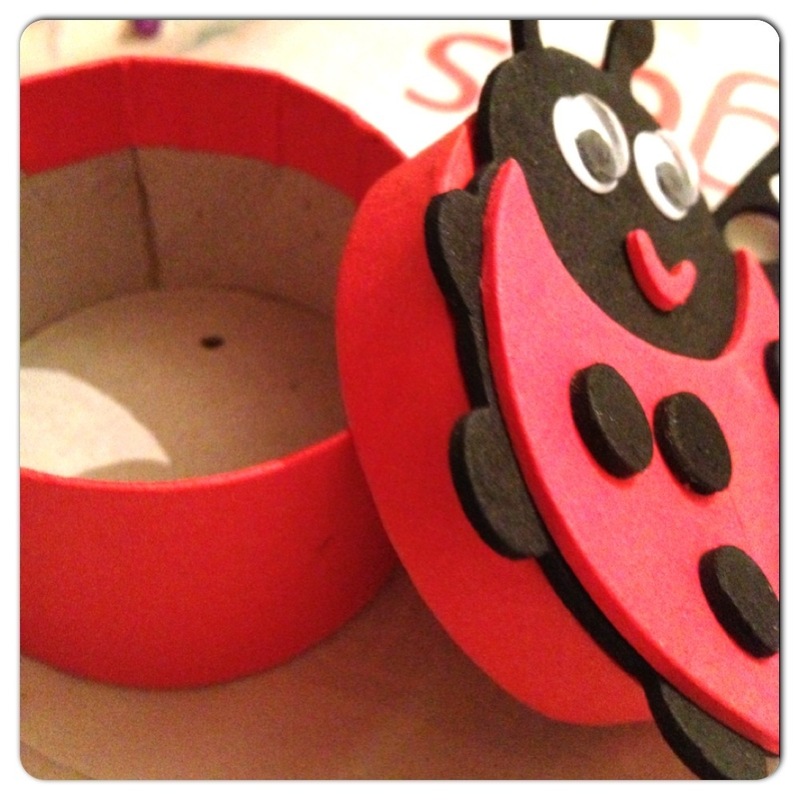 You will again require some glue or double sided tape to stick your finished bug to the lid of your box. Once again we used the tacky glue and found this worked just fine. 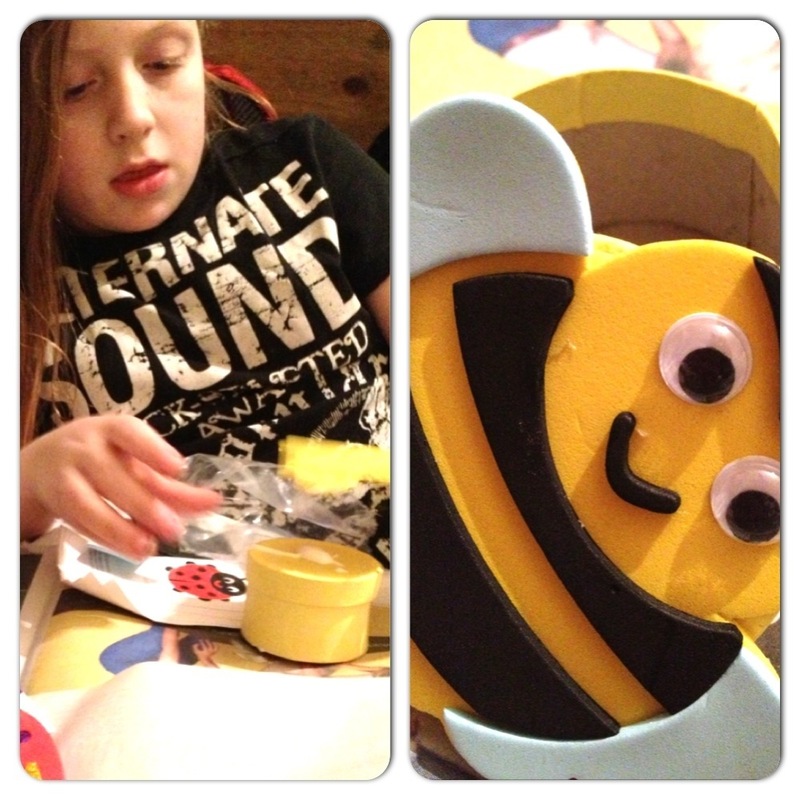 Alice constructed a bumble bee box and with my help the toddler worked on the lady bird box (the two bug designs in this kit). 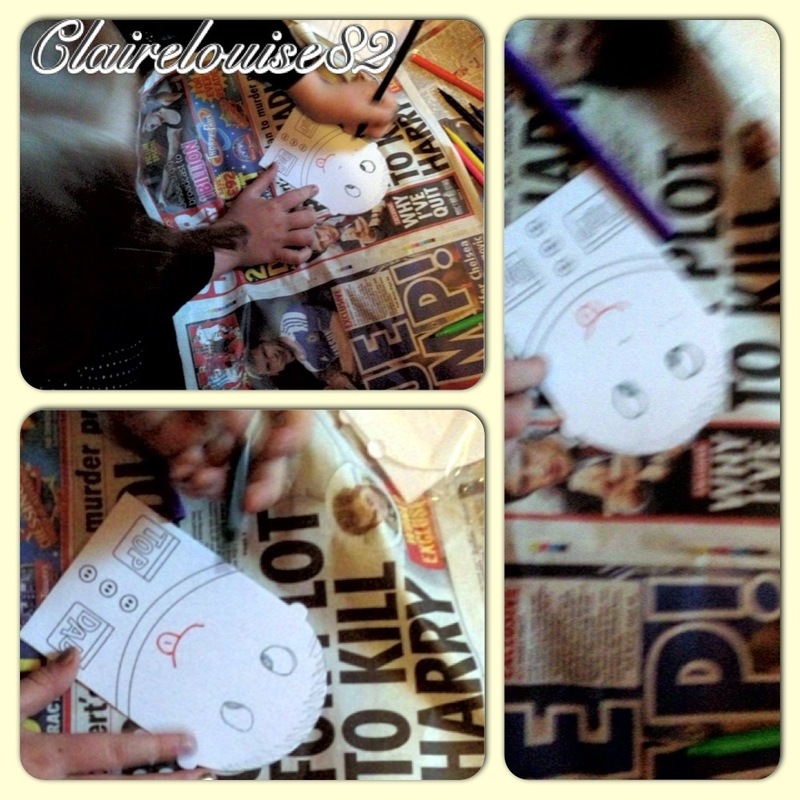 Alice found these very simple and made hers really quickly. She said that they were a little two easy, meaning the whole crafting experience was over relatively quickly. Nonetheless, she did love the end result all the same. I think all the craft, activity sets from Baker Ross ltd would make great additions to a party bag or even used as party activities instead of games. Kits are also perfect for rainy day play, creative activities for nurseries or even pre-schools. They are fun and creative and help kids master fine motor tasks while realising inner creative flare.